The World Circular Economy Forum 2019 Expo Area at Finlandia Hall in Helsinki will bring into the spotlight selected circular economy solutions around the world. 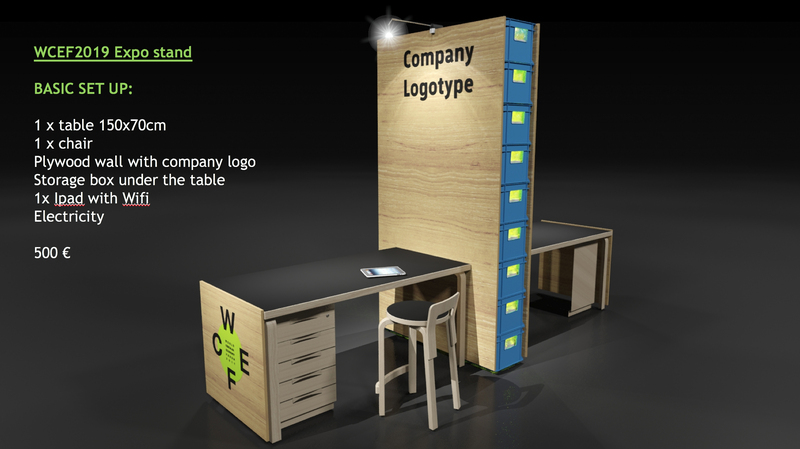 Do you want to be one of the few chosen Expo Area stand hosts at the WCEF2019? - CALL CLOSED, hosts to be announced in mid-April. The WCEF2019 Expo Area host, Sitra, the Finnish Innovation Fund (“Sitra”), welcomes both small and large companies and organisations to apply for the WCEF2019 Expo Area. 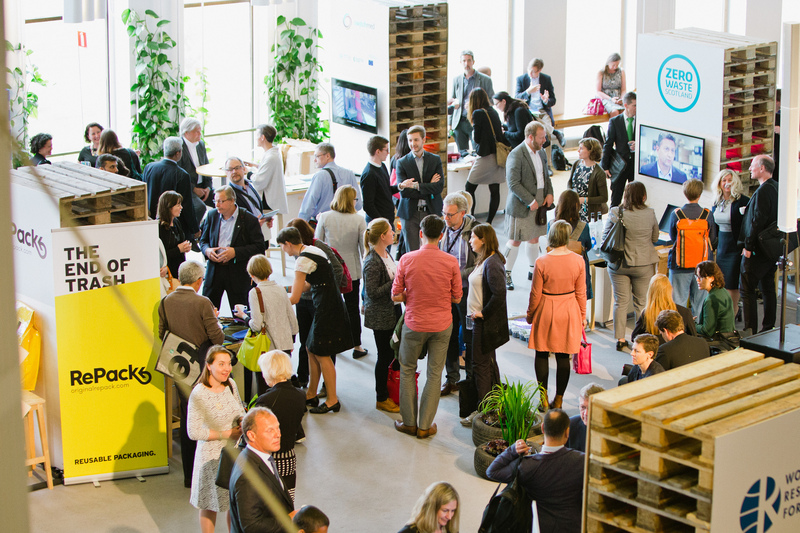 What matters the most in the selection process are scalable circular economy solutions – the ones that inspire the world towards greater speed and scale in circular economy and therefore deserve their spotlight at the WCEF2019 Expo Area. We welcome both small and large companies and organisations to apply. In the selection, we value different perspectives to the circular economy and solutions which benefit the circular economy globally such as: circular design, new business models, reverse cycles, and enabling solutions. Have a look at five circular economy business models and 96 cases in Finland. The applicant must commit to be actively present at the WCEF2019 Expo Area during the entire duration of the WCEF2019 event on 3-4 June 2019 in Helsinki, Finland. No trading, commerce or sales activities are allowed at the Expo Area. The Expo Area will consist of a selection of around 20 stands. 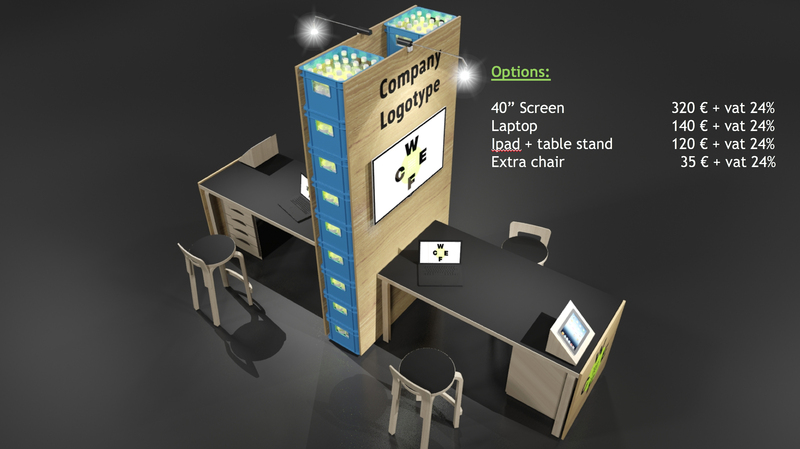 The basic Expo Area set up for each stand will be a fixed form: 150cm x 70cm table, a chair and an iPad with Wi-fi. The price of an Expo Area stand with a basic set up is 500 euros. With an additional cost, the Expo Area stand hosts can also add a 40” screen, a laptop, an Ipad with a table stand, and an extra chair (please see the prices of additional items in below images). The Expo Area stand hosts will cover their own travel and other expenses. Please note that WCEF2019 is organised according to circular economy principles, so please do not bring future waste to the stands. Apply by sending your WCEF2019 Expo Area host application form to wcef2019(at)sitra.fi by 12 March 2019, 23.00 CET. The selection will be carried out in early April 2019. Sitra holds the conclusive right to decide the WCEF2019 Expo Area stand hosts. All applicants will be informed during April 2019.